That sounds like quite an undertaking, and the engineering aspects of the project are far removed from Mr. Smarty Plants area of expertise. But since you mentioned Inland Sea Oats (Chasmanthium latifolium (Inland sea oats), lets talk some more about grasses. We often suggest using grasses for erosion control since their fibrous root systems are able to hold on to soil particles quite effectively. The first bit of information is that there are cool season grasses and warm season grasses. Warm season grasses germinate in the spring and, since they are heat and drought tolerant, are generally green throughout the spring and summer. They begin turning brown in the fall and remain so throughout the winter. Cool season grasses germinate in the fall and are green and growing throughout the winter and spring, but die back in the heat of summer. What category do you think Inland Sea Oats is in? So if you are wanting some type of grass cover throughout the year, you might consider a rotation of warm season and cool season grasses to help stabilize the soil. 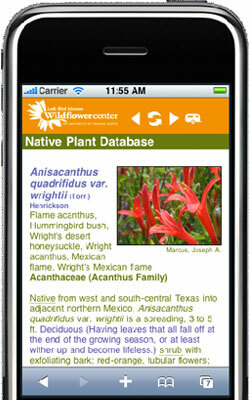 Contact the Dallas County office of Texas AgriLife Extension for help in selecting the best species to use in you area. You might want to check out hydromulching as a method of preventing your seed from washing away. January 11, 2010 - When is a good time to plant grass in East Texas - Harrison County? Thanks so much.